A Place in the Sun was a fun, romantic, and well written novel. I truly adored this book and the characters within it. As I turned each page effortlessly, I came to the realization that RS Grey has some of the funnest (I just made that a word) and magical writing I’ve gotten the privilege to read in a while. I can’t wait to dive into another one of hers! RS Grey has a crazy way of writing settings out that you are envisioning them in your mind the entire time, feeling like you are there. The whole I read this book I could just picture the beauty that is Italy. That was pretty neat mainly because I don’t read a lot of books that take place in other countries. But when I do I like for the authors to make me FEEL like I’m there and to make me envision the places they are describing. A Place in the Sun did just that! My most favorite part of the entire story line though was Georgie. What a breath of fresh air! A strong, resilient, and assertive woman, yes! Just what I want to read about. A strong woman conquering a broody and insensitive man and whipping him into shape all at the same time, I loved it! Georgie and Luca’s banter was completely satisfying and at times even LOL (yes, the real kind) worthy. There was never a dull moment with those two or between the secondary characters. Their involvement was just as fun and entertaining as the main characters. 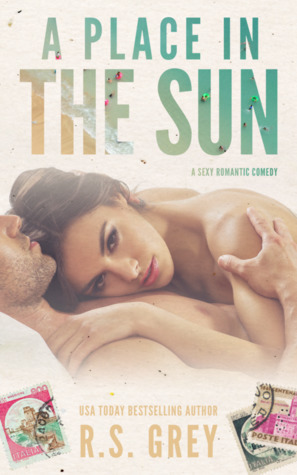 All I can conclude this review with is if you are looking for a book full of sunshine and laughter and non-cheesy romance, A Place in the Sun is a great place to start! If you are in a book funk, I have a feeling this is just the type of book you need to get yourself out.